Have you ever come to a crossroad in your life? I have. Many times. A wise man once said “When you come to a crossroad, take it!” Cute, but unhelpful. All of us come to moments in our lives that turn out to be crossroads in our future. Many times we can see these moments coming, like a marriage proposal, or that first purchase of a home, or a career advancement, some (maybe even many) of these moments sneak up on us and surprise us with their importance even years after the event. I can think of several moments in my life that, looking back, had a profound affect on the trajectory of my life. As I look at these moments, I am filled with all kinds of emotions: gratitude, shame, regret, fear, joy, and everything in between. What about your life? This Feast is actually one of the oldest feasts in the Church, maybe even the oldest commemoration among us Christians besides the Resurrection. In fact, and this may surprise you, the Feast of Theophany is a higher ranking Feast than Christmas and history tells us that the Nativity Feast and Theophany were all celebrated together initially. And that makes perfect sense in light of the theology preserved by these ancient celebrations. What theology, you ask? Very good, a perfect question. The unique and controversial theology that God took on Flesh so that Flesh (and all creation) could be deified. A big word, I know. But with the dual rise of both secularism and Islamic theology in our day, our children are going to need to be prepared to face an increasingly hostile environment for the Christian Faith with serious and robust and purposeful Orthodoxy! And that starts with the true identity of Jesus Christ! In this passage we discover that very identity! 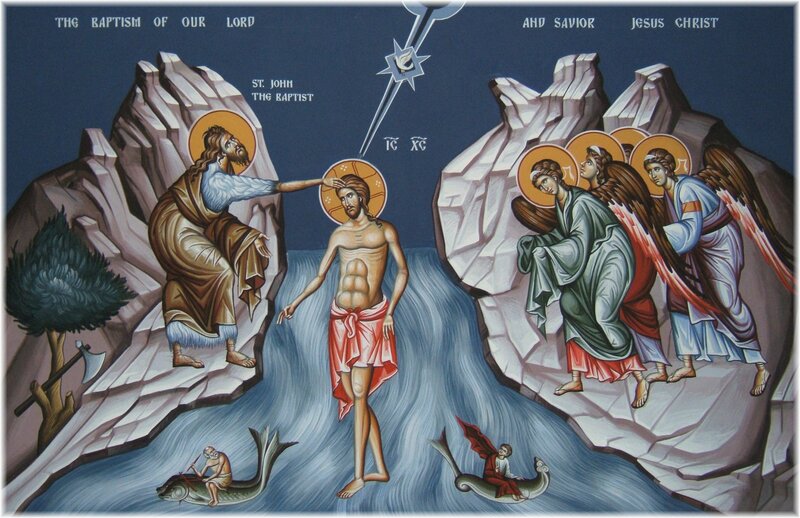 When St. John the Baptist, inspired by the Holy Spirit, recognizes the Lord, he rightly declares “I need to be baptized by you.” St. John sees what many today refuse to see; Jesus is not just a great teacher. He isn’t just a powerful prophet. Jesus Christ is the Word of God, the Lamb of God Who takes away the sin of the world! St. John’s insight causes him to see himself as needing Christ first and foremost. But the Lord’s response reveals another aspect of the Lord’s identity. He wants to “fulfill all righteousness.” The hymns of today’s feast show that creation longed for it’s Creator to enter into the water, so that the water could be restored to it’s original purpose: not just to satisfy physical thirst or clean physical bodies or refresh physical hungers, but to go further and to actually make the Creator “present” to Creation. Jesus comes to not just tell us about the Father but to “show” us the Father. Jesus comes and enters into the River Jordan so that all creation could be made what it was intended to be: A Divine Mystery of God’s presence and love! Finally, the dove and the Voice from heaven reconfirm all this. The dove symbolizes the presence of the Holy Spirit and the Voice of the Father witnesses to His Son’s identity: “This IS my beloved Son!” And because Jesus is beloved of the Father, so we, too, connected to Christ are also invited to experience being beloved by the Father through Christ! 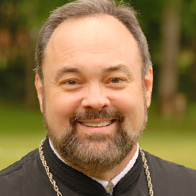 Today, as we celebrate this Timeless Feast, let’s truly celebrate the deep and profound theology we Orthodox declare. God has become Flesh for our sake so that our flesh can be grafted into His eternal and Divine grace. 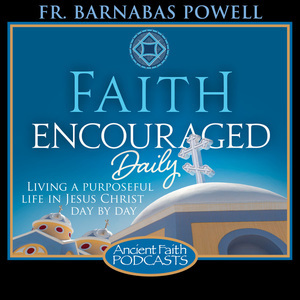 In a world increasingly gripped by confusions of identity and a loss of knowing the “faith, once, for all, delivered to the saints” being Orthodox on Purpose has never been more important! P.S. 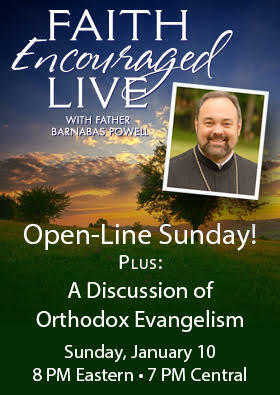 On our very first Faith Encouraged LIVE of 2016,it’s you and me on an “Open Line Sunday!” We are going to be talking about a normal Orthodox Evangelism. 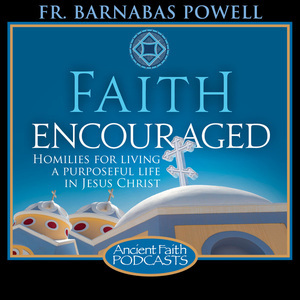 What does it mean for Orthodox to Evangelize? Do we proselyte? Do we knock on doors? Do we have “evangelism plans” and training? 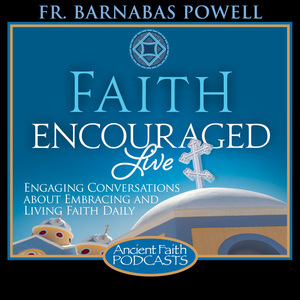 How has the Orthodox shared the faith through the centuries? Let’s talk Sunday night at 8 PM Eastern on AncientFaith.com. By the way, when you share these devotionals, you help us a great deal! Thanks.